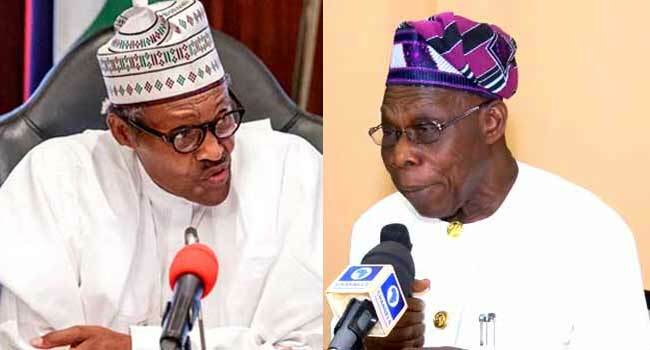 The presidency has said that it will teach Chief Olusegun Obasanjo and the Peoples Democratic Party (PDP) a political lesson in the forthcoming presidential elections. This was contained in a statement on Sunday by Garba Shehu, Senior Special Assistant to the President (Media and Publicity). Shehu’s statement was in reply to a broadcast made by Chief Obasanjo on Sunday, in which the former president said the Buhari-led government is reenacting what transpired when Nigeria was led by the late dictator, General Sani Abacha. In his broadcast, Obasanjo blasted the present administration on various issues including ‘a failure to tackle Nigeria’s security problems adequately’ as well as “EFCC, Police and Code of Conduct Tribunal being misused to deal with those Buhari sees as enemies for criticising him or as those who may not do his bidding in manipulating election results.”. However, the presidency in disagreeing with Obasanjo’s assertions said the past leader’s campaign against Buhari is premised on jealousy because “Buhari has more esteem” than him.